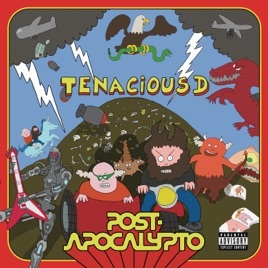 Post-Apocalypto is the kind of gloriously silly concept album that only Tenacious D could make. Comedic duo Jack Black and Kyle Gass are forced to navigate a post-apocalyptic wasteland, trying to “survive and thrive” in a world populated by dragons and gorgons (“HOPE”), finding themselves torn over repopulating Earth (“MAKING LOVE”), and even meeting a sensitive cyborg (“ROBOT”). The music, once again, swings between acoustic power ballads full of over-the-top ’70s pomp and heavy rockers powered by Dave Grohl on drums. (They also throw in a goofy hip-hop jam, complete with Auto-Tuned crooning.) And despite its hilarious end-of-the-world premise, this wild tale closes on an unexpectedly earnest note—though no spoilers here. I've been a loyal follower since day one. I was there when people thought the Pick of Destiny was trash. 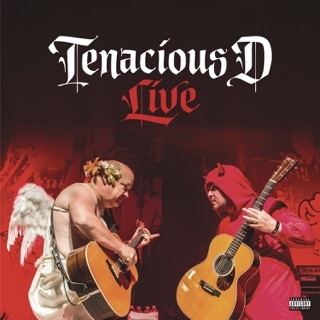 I converted so many people who are now followers of the D. But I'm sorry to say, this new album is NOT what we want to hear from the greatest band in the world. Both KG and JB are the nicest, most talented people ever but the continuous sexual content to support a horrible animated theme is just not the D. Being funny is one thing but being true to the music is more important. I was hoping the animated series was a joke and the real album was gonna be released. I'm going to still hope this happens. I will see you guys at the Hollywood Palladium and hope for the best. I'm sure it will be a great time. Just please don't do the entire new album. Thanks.